Watch Scandal Season 7 Episode 17 online via TV Fanatic with over 6 options to watch the Scandal S7E17 full episode. Affiliates with free and paid streaming include Amazon, iTunes, Vudu, Netflix, Hulu Plus, and Verizon On Demand. 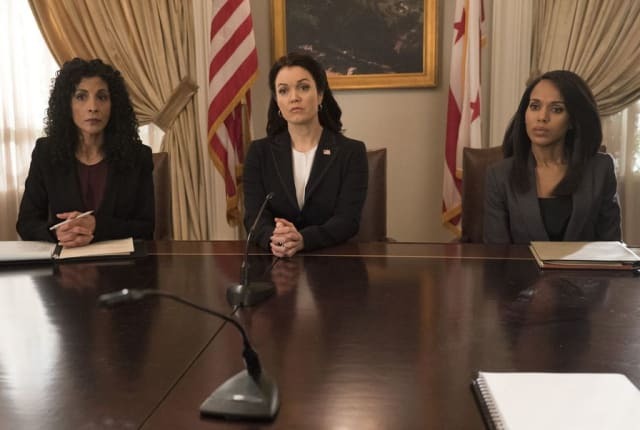 On Scandal Season 7 Episode 17, when Liv is called to testify against Mellie, Cyrus and Jake’s mission to take the White House reaches a new level of deceit.